Sussex Women have secured a major coup ahead of the 2016 season by signing England international Danielle Wyatt from Nottinghamshire. The 24 year-old all-rounder, who bowls off-breaks, has been a mainstay of the England women’s one-day sides for the past six years. She has played 36 One-Day Internationals, and 66 T20 Internationals, taking 72 wickets in all, and is also approaching 1,000 runs across the two formats. 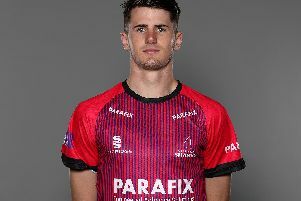 Wyatt will strengthen Sussex’s bowling attack, particularly in the spin bowling department, with Holly Colvin having retired at the end of last season to take up a role with the ICC. Wyatt said: “I’m delighted to have signed for Sussex. I can’t wait to get on the pitch with this group of talented girls. “Playing with and against the best players in the country can only benefit me and it’s going to be great fun playing alongside the likes of Sarah Taylor, Georgia Elwiss, Georgia Adams etc. Sussex’s director of women’s cricket Charlotte Burton said: “It is fantastic news that Danni will be joining the Sussex Women. Danni is a talented all-rounder who will strengthen all departments for us, and will be a great addition with the ball, having lost Holly Colvin to retirement. Sussex Women begin their county season on Sunday, May 1, with a trip to Warwickshire in the Royal London Cup. On Sunday, July 24, they will be in T20 action at The 1st Central County Ground, Hove, against Nottinghamshire and Berkshire.